Offering training based on the evidence-based principles of equitation science, tuition, full-care agistment and user-friendly facilities Kersbrook Equestrian Centre is recognised for its professionalism and commitment to keeping horses in a safe, natural environment. 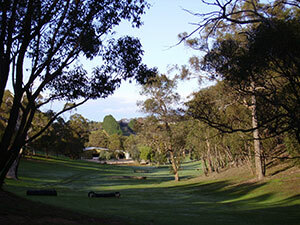 Established in 1992 Kersbrook Equestrian Centre is the premier multi-purpose facility in Adelaide’s northern hills. Nestled into its own valley near the town of Kersbrook and adjacent to the Mt Crawford Forest, the property is a scenic and comfortable haven for riders and horses. Your needs as a client and those of your horse are our highest priority and we look forward to helping you in your equestrian endeavours. Please explore the site for all we offer and don’t hesitate to get in touch. Sunday April 14th. Full day workshop. Equitation Science in Action. Re-scheduled from February 24th due to heat. Tickets still available. Here are the links to our Facebook pages for the latest news and information. Keep an eye on this for notice of events, training tips and opportunities. Kersbrook Equestrian Centre imports these comfortable, stylish and affordable European made riding boots. Personalised fittings by appointment. UK made Equi-Trek two horse trucks make transport safe, easy and economical. Inspections and test drives available in our demonstrator Super Sonic. 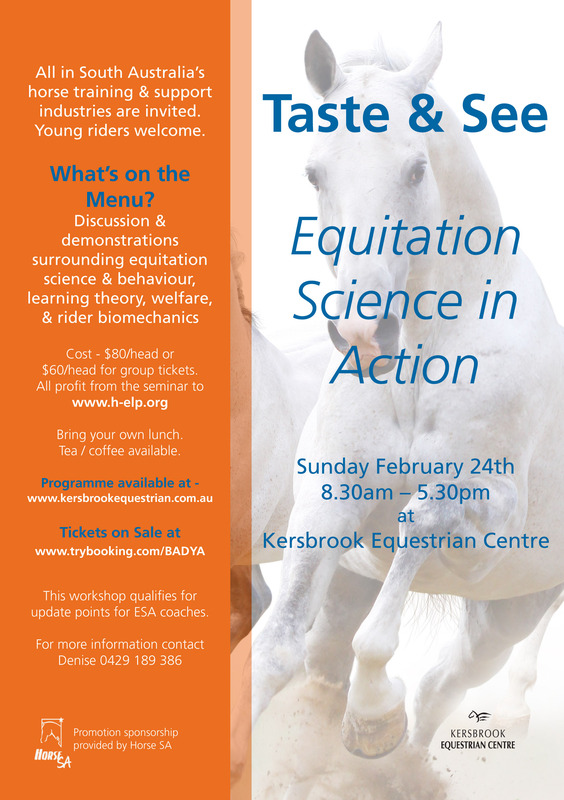 Information and events with a focus on evidence-based training using equitation science principles.